In the early hours of the morning, on April 10th, 2010 a TU-154M plane crashed in Smolensk (Russia) a 1km short of the runway in foggy weather conditions, killing all passengers on board. 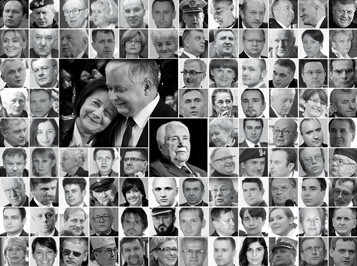 The plane was carrying a delegation of 96 deserved and distinguished patriots, members of the Polish elite, including the Polish President Lech Kaczynski and his wife, former President Ryszard Kaczorowski, the entire general army command, the Chief of the Polish General Staff and other senior Polish military officers, the president of the National Bank of Poland, Poland's deputy foreign minister, Polish government officials, 15 members of the Polish parliament, senior members of the Polish clergy, and relatives of victims of the Katyn massacre. An event regarded by many as the worst national disaster to befall on Poland since World War II. They were on their way from Warsaw (Poland) to attend an event marking the 70th anniversary of the Katyn Forest massacre. After analysing and reviewing samples, we discovered presence of explosive materials on 107 wreckage fragments and on a sample taken from a victim's body. This was discovered using three independent methods – said former Defence Minister Antoni Macierewicz. He added that the substance discovered is most likely a material called RDX. The Polish commission responsible for the re-investigation of the Smolensk plane crash said on Tuesday it had found traces of explosives on the wreckage of the aircraft and on the body of one of the victims.